Each printed and painted after Simon Francois Ravenet with Christ on the Cross, The Madonna, Mary Magdalene and St. James of Compostella. The enamel factory established by Stephen Janssen at York House, Battersea, in 1753 lasted for just three years. Janssen introduced the newly discovered process of transfer printing creating the finest works of this type. 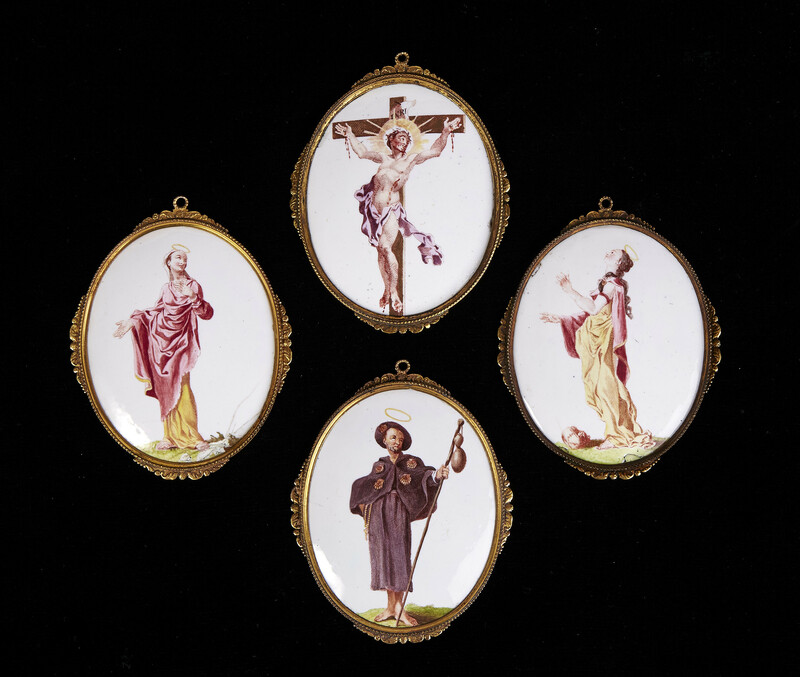 Only three examples of the complete set of five plaques, which also includes St. Anthony of Padua, are known; those in the British Museum, The Wolverhampton Museum Collection and formerly in the Sir William Mullens collection sold at Christie’s, 18 March 1987, lot 43. Each 10.5 x 8.1 cm. including frames. Condition – Christ on the Cross with two chips to the edge. The Madonna with damage to the bottom right edge. Mary Magdalene two cracks on edge. 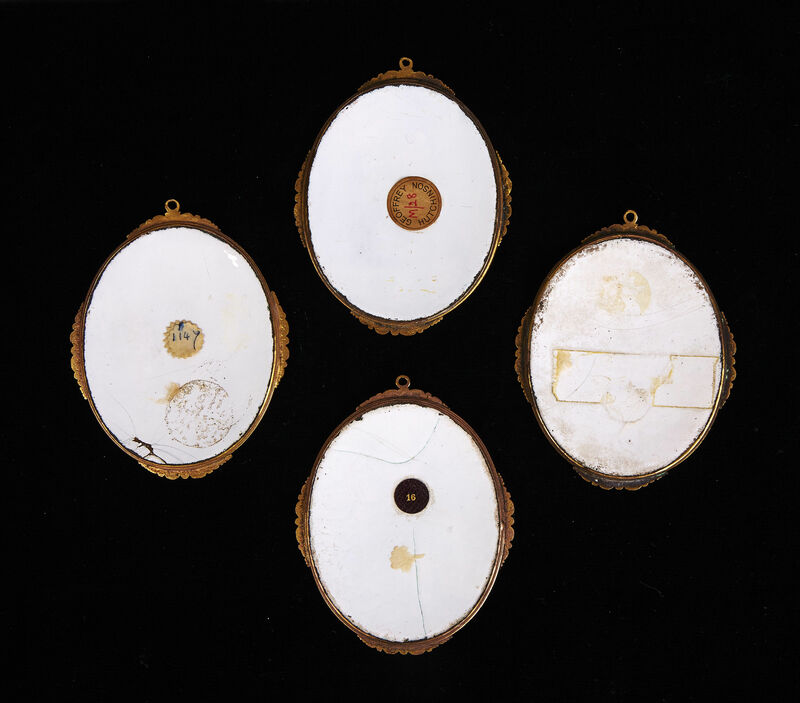 Provenance – Christ on the Cross: with the label of Geoffrey Hutchinson, M/28, and from the Hon. Mrs. Nellie Ionides collection sold, Sotheby’s, 9 June 1975, lot22. and the Hon. Mrs. Nellie Ionides collection sold, Sotheby’s, 17 June 1980, lot 46.